Learn how to sketch and cut with your Silhouette Cameo 3 or Silhouette Curio while we make some pretty yet simple Thanksgiving place settings. This post contains affiliate links, which help to support this site. Today I have a few things to share with you all! 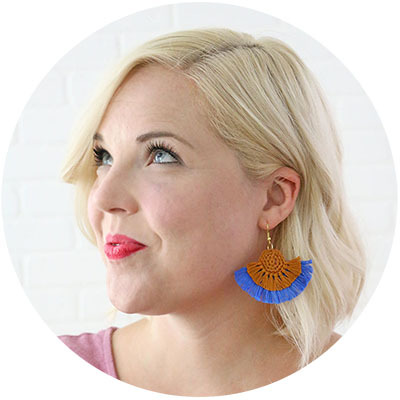 I want to share some simple Thanksgiving table and decor ideas, show off our awesome Fresh Cut Fall Bundle, AND teach you how to sketch and cut with your Silhouette (which is a technique I love that I think is really underutilized!). Phew… that’s kind of a lot, but I think it’s all good stuff and it all goes together… I think. Hopefully. HA! Let’s talk this fall cut file bundle for a minute first. If you are looking for ideas to spruce up your home for fall, you don’t want to miss this great collection of over 60 SVG, DXF, and PNG cut files perfect for creating all kind of fall decor projects. My contribution to the bundle is a collection of hand drawn wreaths and sayings. 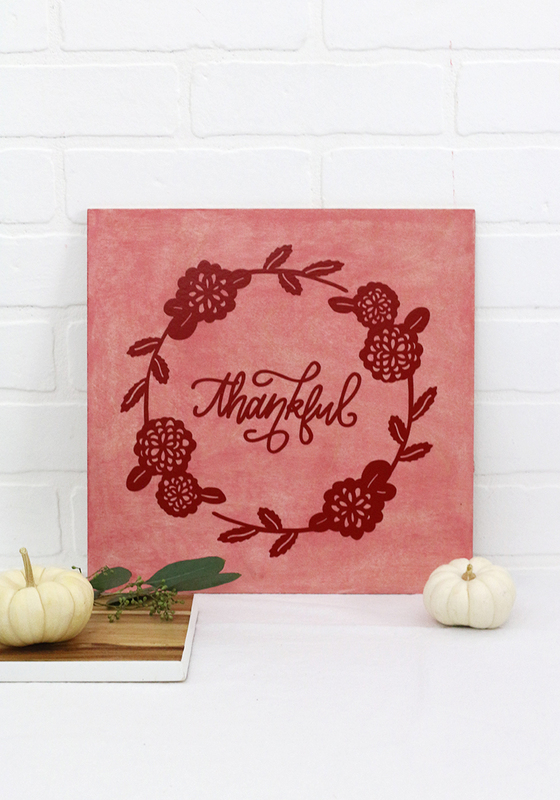 There are two wreath designs (a floral wreath and a feather wreath) and two hand lettered sayings – “thankful” and “count your blessings.” You can use these designs to create signs, tote bags, decals, or anything else you can think of. You can grab these designs individually in my shop or as part of the Fresh Cut Fall bundle. I cut one of the designs from vinyl and applied it to a simple wooden sign to make some quick and easy fall decor. Then, I decided it would be fun to use the designs to make little tags for our Thanksgiving place settings. 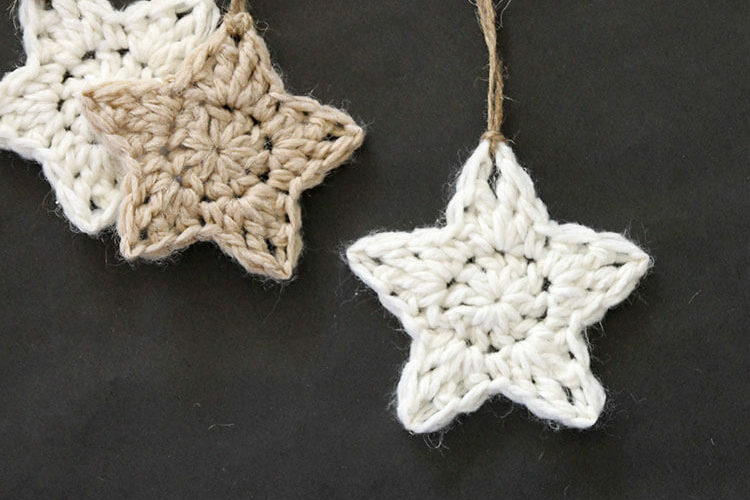 I love the way these little tags came out, and they were so easy to make! You can use this same technique to create all kind of tags, labels, party favors, and more. Start by opening up your design in the Silhouette software. If you are using my design from the SVG bundle, you may need to ungroup the items to select the wreath you want to use. Next, use the circle tool to draw a circle around the design (this will be the shape the tag is cut into) and two small circles on the sides (these are the holes you will thread the jute twine through. Once you have your design ready, it’s time to sketch and cut! One of the cool features of the Silhouette Cameo 3 and the Silhouette Curio is that they both have two tool holders which allow them to perform two tasks at the same time. This means you can sketch and then cut all at the same time making beautiful tags, labels, and more. 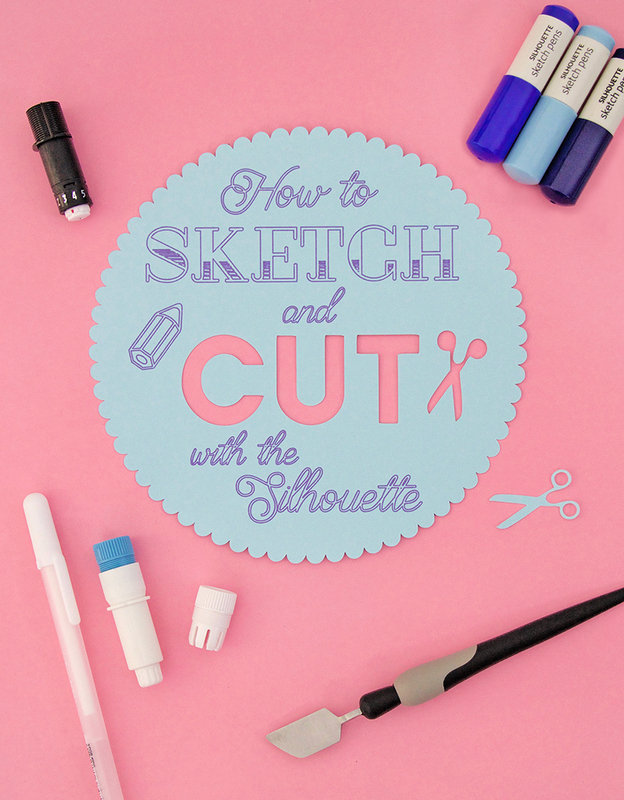 I’ve created a little video tutorial to show you how this works including how to use the pen holder tool, which lets you use your favorite pen to sketch) and how to prep your file for sketching and cutting in the Silhouette software. Check it out below (If you don’t see a video below, it may be because of an ad blocker. 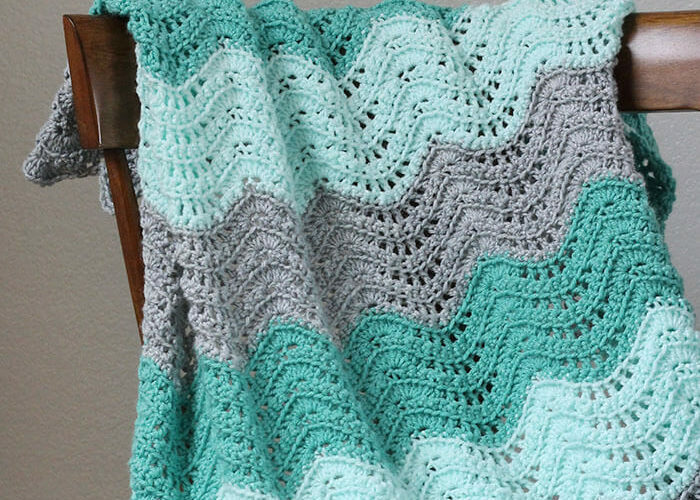 You can also view the video tutorial on my youtube channel.). 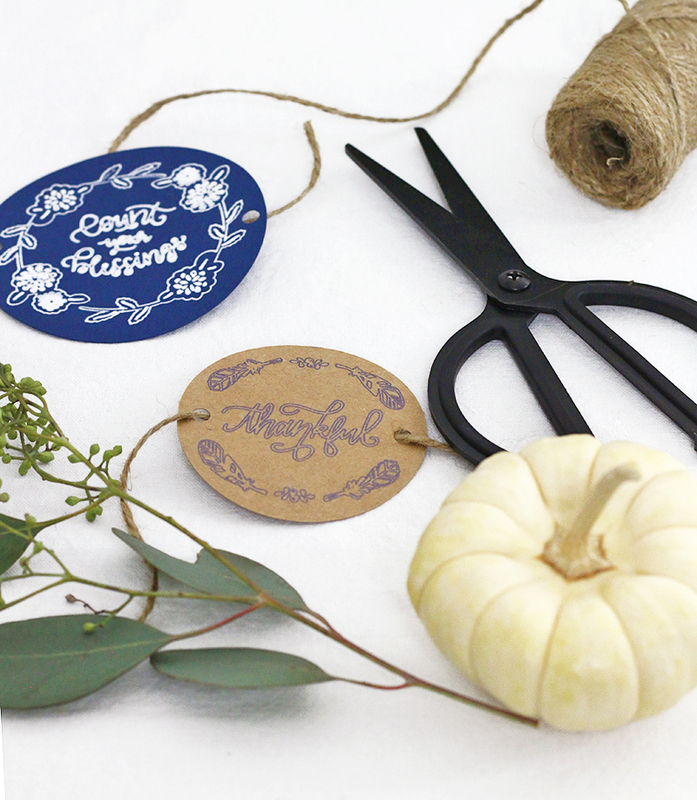 After your tags are sketched and cut, there are just a few more steps to to finish up your Thanksgiving place settings. Thread a length of jute twine through the holes on the tag so the twine passes behind the tag. 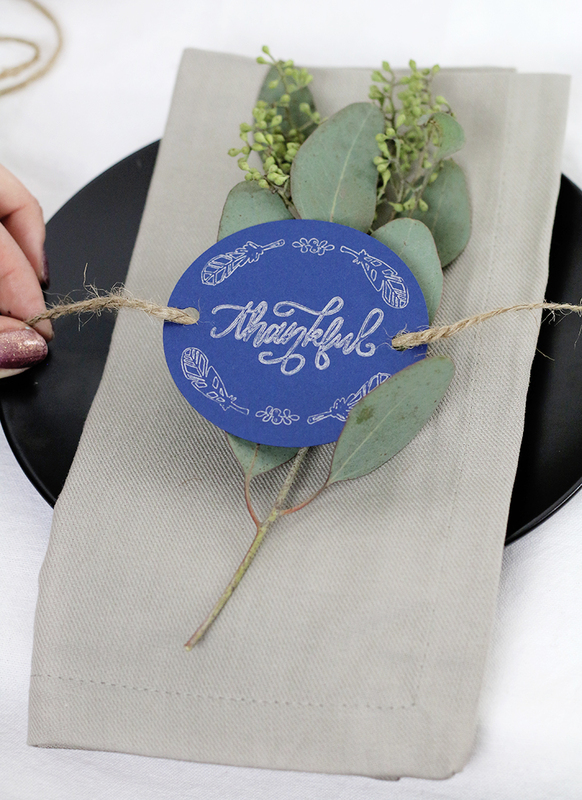 Then lay the tag on top of your napkin and a eucalyptus branch (I love to snag these bunches from Trader Joes). Tie the jute twine on the back side of the napkin. And that’s it! What do you think? 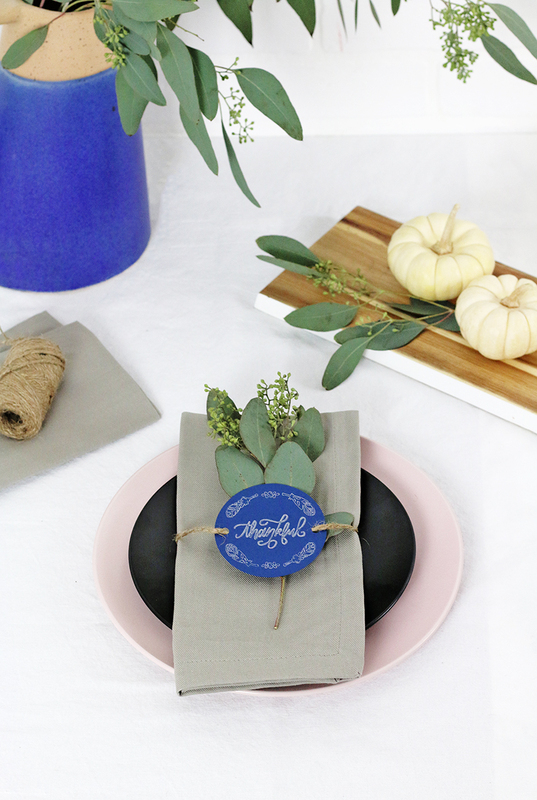 Would you use these little place settings for your Thanksgiving dinner? Have you ever tried the sketch and cut feature before? If so, what did you make? Alexis, thanks for the great Thanksgiving ideas! My family is coming to our house, and I’m going to use my Silhouette Cameo 3 to make some of these! Love my craft cutter!